We began meeting as a core group in a north Houston suburb in the spring of 2008. I was 28 years old at the time with almost 10 years of ministry experience and a clear yet uncomfortable call to do something I never thought I would—plant a church. Early on you’ll begin to feel the pressure to prove yourself—to prove that the “calling” you had to plant a church was actually from God and prove that you have what it takes to pull it off. You’ll want to validate yourself—to yourself and to others—in many ways through the progress of your church. How big is your core group? When is your first preview service? How soon are you “launching”? But slow down. Slow WAY down. Once the train starts rolling down the tracks there’s no stopping it. Spend more time pouring vision, identity and gospel into your core group. Serve together more. Pray together more. Dream together more. Slow down. It’s a marathon, not a sprint. 2. SPEND MORE TIME WITH PEOPLE TWICE YOUR AGE. You’ve spent most of your ministry years working with students half your age; now you’re pastoring many people twice your age. That’s a significant shift. Spend more time with 50-, 60-, 70- and 80+ year-olds. Glean from the collective wisdom and strength of their years. Many of them have been walking with Jesus longer than you’ve even been alive. Let their stories, legacies, resolved temperament and proven faithfulness humble you, challenge you and motivate you. They have a perspective on life to offer that you desperately need. 3. SMILE MORE WHEN PREACHING. Don’t just preach about the joy we have in Jesus—show it! You have one to two hours with most of your people each week. Spend it having fun, enjoying their presence and celebrating in the goodness of God that He would even bring one person to your church. Don’t be so serious all the time. I know there’s a lot riding on your shoulders and you take it very seriously. You absolutely should. But I also know you believe Jesus is worth smiling about—so do it more—for your sake and for the sake of those around you. 4. BUILD MORE RELATIONAL CAPACITY WITH YOUR TEAM. Leading is often lonely, and church planting will drive you into isolated places if you’re not careful. Proactively take steps to work against that tendency by creating a culture of relational connection and friendship among your team. Keep your office door open more, make sure you’re spending time together outside of work, schedule regular “non task-oriented time” each week to connect with team members on what’s going on in their lives, and let them know what’s going on in yours as well. Ensure they know you care more about them and their families than you do about the church and their productivity. 5. YOUR WELL-BEING IS NOT DEPENDENT UPON THE CHURCH’S. You will experience some incredibly high highs and some devastatingly low lows along the church planting journey. Do not allow your emotional health to become so intertwined with the church to the extent that it’s impossible to identify where one ends and the other begins. You are not this church and this church is not you. Your personal sense of security is not dependent upon the number of compliments or critiques you receive about the church in any given week. It will be hard not to take things personally—the good and the bad—but you’ll need to regularly reset, refresh and renew your emotional perspective in order to establish healthy boundaries and maintain a sustainable distinction. 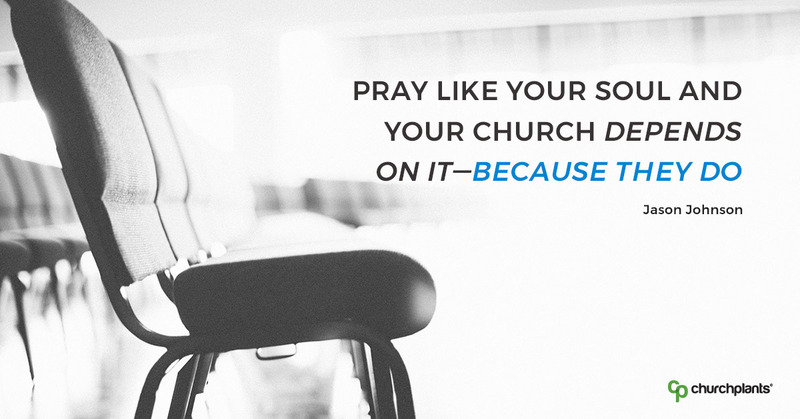 Pray like your soul and your church depends on it—because they do. 6. INVEST MORE IN YOUR LEADERSHIP DEVELOPMENT. The less you deal with your leadership constraints, the more everyone else around you will have to. Read more good books, attend workshops and conferences, meet with business leaders in your church and community, even take classes through a university or seminary. Do whatever you can to identify, address and grow in your capacity to align your leadership behaviors with your goals to produce the best possible outcomes for you, your family, the staff, leaders and volunteers at the church. If you don’t address it, you endorse it and eventually replicate it. Stop worrying about what other churches are doing and how they’re doing it. Be smart enough to learn from them but confident enough to not feel threatened by them. There’s a “game” in the church world—a strong, pervasive undercurrent of competition and one-upping that happens. Don’t get caught up in it. It’s like quicksand—the more you squirm in it the deeper you sink into it. If you’re constantly jockeying for position and you’ll end up exhausted, passionless and consumed with disillusionment. Stay focused on who and what God has called you to be and do and trust Him with the rest. 8. CELEBRATE THE “WINS” MORE. Create a culture that recognizes and rewards when good things happen. You’re a critic by nature, nowhere more pronounced than in your perspective on the church. Things can always get better, be done better, feel better, sound better and work better. In your pursuit of better, do not neglect the opportunities you have to stop and celebrate all the good that God is doing. Highlight accomplishments of the team, when God does something unexpected, when simple goals are met or major initiatives have been successfully executed. Be a “party throwing” leader. It’s a powerful way to motivate the team, encourage the church and build a hopeful anticipation in people for more of what’s to come. 9. APPLAUD STAFF, LEADERS AND VOLUNTEERS REGULARLY. People are the absolute most valuable asset at your church. Many have made great sacrifices to be there and have been abundantly generous with their investment of time, energy and money to see a vision for the church become a reality in it. Appreciate them deeply, affirm them privately and acknowledge them publicly on a regular basis. Create a culture that values people relationally more than transactionally—for who they are first, not just what they can do. That type of culture keeps people motivated longer and becomes enticing for others to want to be a part of. 10. CHURCH PLANTING IS ALWAYS AND ONLY AND TOTALLY ABOUT JESUS. He is worth the risk you take in the beginning. He is good in the struggles and greater than the successes you experience along the way. He promises to be faithful in the end as you persevere and press on from the great goal of planting a church in a city to the higher goal of planting the gospel into people. Jesus is worth it. He calls you to Himself before He calls you to plant and pastor a church. Rest in your calling to Him in order to be sustained in your calling for Him. Be free from the burden to be anything that only He intended Himself to be in this church planting journey. It’s always and only and totally been about Him. Always. [Note] This list is certainly not exhaustive. No list like this ever can be. There are untold things that can be added which would take another 10 years to detail in full. These are just a few of the many I would share—with both my former church-planting self and even other current church planters today. Jason Johnson and his wife Emily planted a church in North Houston in 2008, became foster parents in 2012 and live in Texas with their four daughters. Jason now serves as the National Director of Church Ministry Initiatives with The Christian Alliance for Orphans (www.cafo.org) where he regularly speaks and writes on the topics of church leadership, ministry development, foster care and local movements. You can find Jason at www.jasonjohnsonblog.com.